Want to know how to increase your online influence? Who doesn't right? 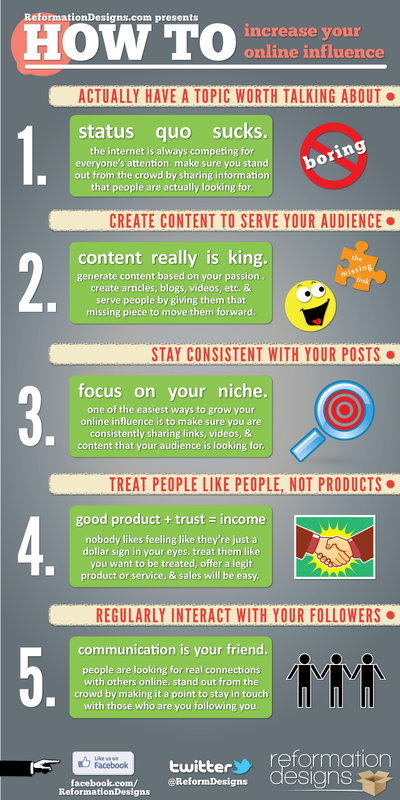 Well this infographic from the guys at Reformation Designs is a good starting point. Got any of your own tips to add to this list? Leave a comment below.